Kids are always wishing they had their own gold medals to wear. Here 7 crafts from different websites that let kids' wishes come true! 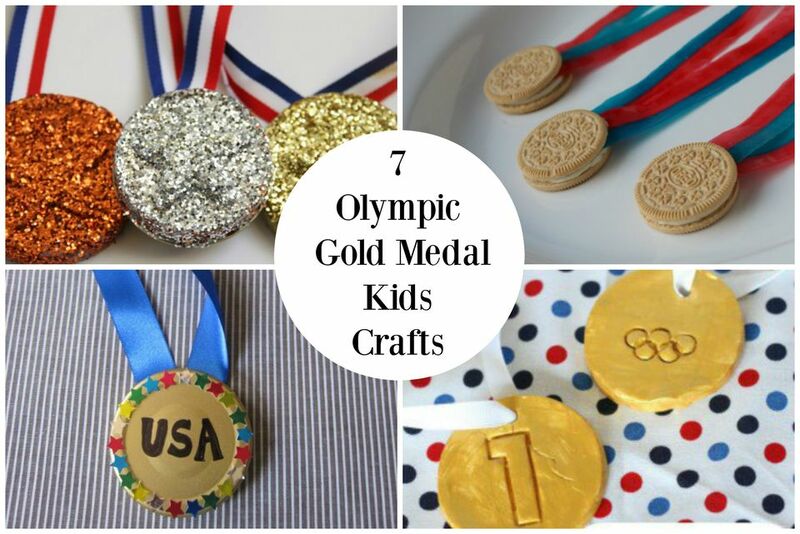 Your kids can be Olympians too with these gold medal crafts. All of these crafts deserve their own gold medal. Wear these gold medal t-shirts for the two weeks of the Olympic games. Easy to make and so fun to wear! Challenge your inner Olympic spirit with this gold medal craft. Your kids will love wearing this clay gold medal that they crafted. Read the steps for this project and have fun crafting. Save aluminum lids, spray paint them gold, attach a ribbon and some stickers, and you've got one good looking medal! Everyone can be a winner with this craft! Reward your kids with these bronze, silver, and gold medals. They are sparkly which makes them that much better. These medals are really fun to make too. These Olympic gold medals are made using baking soda modeling clay. Your kids are going to love experimenting with this craft and wearing their finished product. Don't these gold medals look super official? Go check out this awesome Olympic craft! Have your gold medal and EAT it too! Oreos and Fruit by the Foot make the perfect supplies to craft these edible delicious gold medals.